Softball Ace has one purpose: to make sure you get the right softball glove. With so many softball gloves on the market, the choices can be mind boggling. 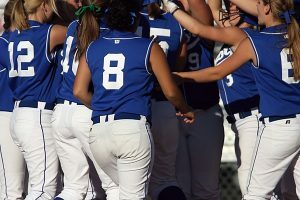 Softball Ace is your source for in-depth softball glove reviews and advice on choosing your next glove. The first thing you should consider when narrowing your selection is what size softball glove you need. Next, you should be aware that players at different positions traditionally use different size gloves. Manufacturers tend to make gloves for certain positions in sizes that cater to these player preferences. For example, adult outfielders will use the longest gloves on the field, up to 14 inches, while infielder’s gloves tend to be 11 to 12 inches. 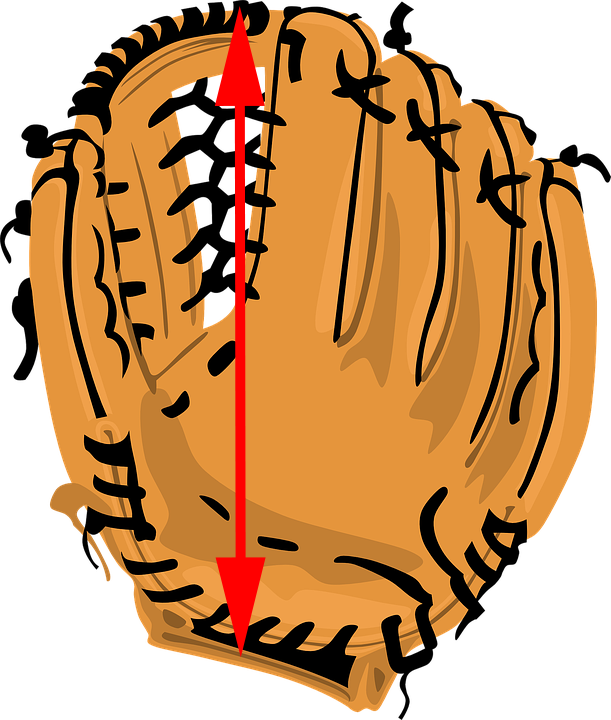 Catcher’s mitts are measured using the circumference of the mitt. Manufacturers group gloves in different sizes by position and for different ages. The actual measurement of the player’s hand doesn’t really matter. The only thing that matters is the fit. Youth softball players with smaller hands may need to use a glove intended for players younger than themselves. Still looking for a glove? A great softball glove is usually made of a material that is durable and workable. The most durable material for softball gloves is leather, which these days is often made from pig or cow skin. Those sources make for the most resilient glove material and can last you for years, even decades! 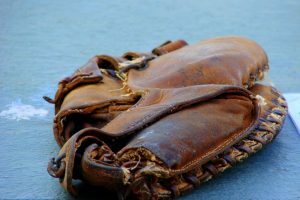 Old baseball gloves are often handed down from generation to generation, thanks to the premium quality of leather that was used to construct them. This may be somewhat subjective, but a great glove just has a great feel to it; primarily because it has a perfect fit. To achieve a great fit, you need to determine the right glove size for you. Glove sizes can vary greatly, especially for youth-sized gloves, but for adults you should strive for a more permanent solution and invest in a glove that fits you perfectly and the most comfortably. From the fingers to the padding to the wrist lock, a softball glove should display a high level of quality and craftsmanship throughout. You can get a feel for the craftsmanship by examining the smallest details like the stitching back up to the more holistic characteristics like the overall feel. If you need an inexpensive glove that is ready to use off the shelf, doesn't require much break in, and feels great on your hand, the Mizuno GPM1404 Premier Glove is a great choice. 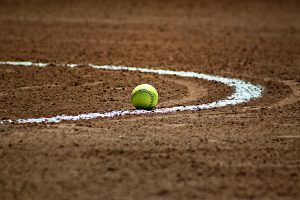 Finding the best softball glove is ultimately a matter of personal preference, but there are a few things you should consider when looking for the best softball glove for you or your youngster. First, determine the size of the glove you need. Youth gloves in particular come in different sizes to accommodate the needs of growing kids. 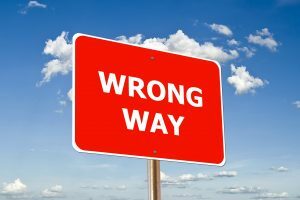 But regardless of your age, a poor-fitting glove is a severe handicap for any softball player, so it’s paramount to determine the right glove size before going any further. Next, look for a glove that is manufactured with high of standards of quality. You can look up trusted brands to see which gloves are superior before you make an investment. Because some of the best gloves can actually be handed down between generations for years to come, you really can consider your glove purchase as an investment that will continue pay dividends (of fun!). Finally, choose a glove that feels and performs right for you. Even the highest-end softball glove can be wrong for someone who is able to play better with a lower cost glove. Make sure you have information on the fit of the glove yourself before choosing to buy it and look up reviews to get general feedback on any glove you are eyeing for purchase. For a quick overview on breaking in your glove, important glove features you might need, and what gloves are the best for different positions, check out the video below. The measurement of most gloves is stamped into the outer perimeter of the leather, but you can measure a softball glove yourself using a fabric tape measure. Measure from the top of the index finger through the pocket and down to the bottom of the heel. Keep the tape in contact with the leather at all times, measuring by increments. Note: If you need additional information on how to figure out your glove size, please see our detailed article on how to measure your glove size and the differences for each position. The Mizuno GPM1404 Premier 14-Inch Adult Slowpitch Utility Softball Glove has it all. It comes with a good shock-absorbing system to keep your hand comfortable and protected; a securing strap; lightweight padding material; and leather material that is durable and efficient at the same time. The Mizuno GPM1404 Premier 14-Inch Adult Slowpitch Utility Softball Glove has a 14-inch length that accommodates most adult hand sizes. It comes with a unique Arched Tartan Webbing that is unlike most conventional softball glove webbing available, and is matted in a utility pattern that us dependable, so your glove can keep up with you as you develop your skills and gameplay ability. This also ensures that despite its low cost, the Mizuno GPM1404 Premier 14-Inch Adult Slowpitch Utility Softball Glove can last a lifetime. Aside from its unique and durable construction, the glove is also made of full-grain leather, further adding to the Mizuno GPM1404’s lifespan. It comes with mesh inserts which make for lighter-weight play. But despite the lightweight material, the GPM1404 is easy on the palm since it comes with special Parashock palm padding to protect you from the ball’s impact whether you’re catching a long fly ball mid-air or grabbing a scorching grounder. The Mizuno GPM1404 also comes with a polyurethane material Powerlock strap that makes sure it stays secured on your hand throughout the every play. And finally, for optimal flexibility, the glove comes with an open-back design that accommodates different sizes and shapes of hands. 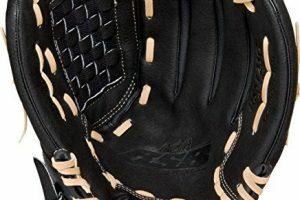 A few particular buyers have been concerned that the leather material used for the Mizuno GPM1404 isn’t the best quality, despite the “premier” claim in its product labeling. 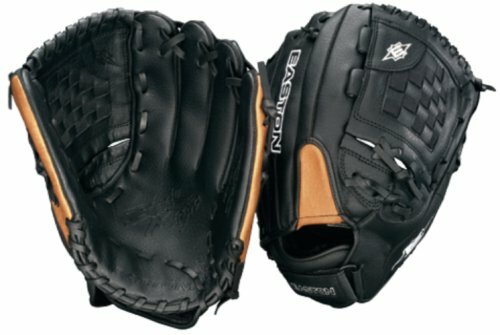 The leather quality and the feel of it accordingly might not be up to the standard set by the original Mizuno gloves that came out in years past. The Mizuno GPM1404 Premier 14-Inch Adult Softball Glove generally has all the features you need from a basic softball glove. It is lightweight, thanks to its mesh padding; its shock absorption protects you from the impact of an oncoming ball; it comes with a strap that secures it to your hand quite snugly so you get the security you need while in motion, and it is made up of fine grain leather which can last you a long time even with frequent and regular use. The Wilson A360 Slowpitch Softball Glove was created for all player positions in the field. Its 13-inch size model is a great in-between size and is even available in both right and left-handed models. The Wilson A360 was made with the different needs of many types of players in mind. A great glove for slowpitch softball, it’s an exceedingly flexible choice. Whether you are an infield or an outfield player, the Wilson A360 Slowpitch Softball Glove is an ideal choice. It comes in a perfect “in between size” of 13 inches, making it not too big for an infield play (which requires speed and flexibility), while not being too small for outfield play, which requires maximum catching power in a glove’s length and pocket depth. The A360 is also the perfect glove for slowpitch softball due to its length that is well suited for the game. The deep-set pockets are also perfectly sized specifically for softball use. Overall the glove is built with the same attention to detail and determination that you would approach the game with yourself — the excellent standards set by the Wilson Company. Each glove is built with the determination to break boundaries and exceed expectations when it comes to play, flexibility, and performance. According to some users of the glove, the item they received was not actually the same product as pictured in the promotional material because the pocket of the gloves they received were just a regular gray leather without the black leather accent shown in the pictures. Also, there was no yellow “W” logo outside of the pocket, as the product pictures had claimed! This has caused some to complain that they did not receive the exact glove as shown in the product materials, which was a pretty disappointing experience. 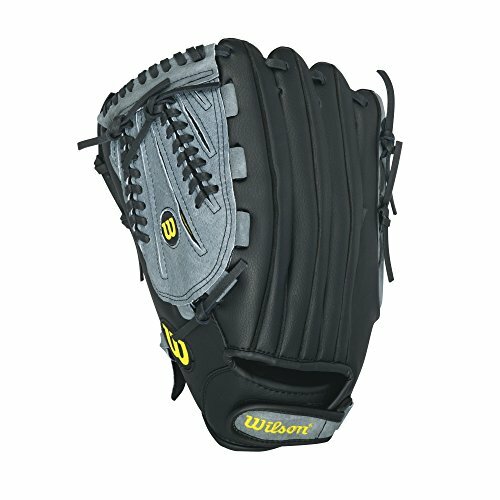 The Wilson A360 Slowpitch Softball Glove is an excellent and economical glove. It’s a great glove to have as backup or a just-in-case glove because it does all the basic functions of a Wilson Glove while solidly getting the job done. If you’re a recreational player, or just starting out, and want to get a feel for the game; or if you’re a more serious player who needs a backup glove, the Wilson A360 Slowpitch Softball Glove is ideal for you. 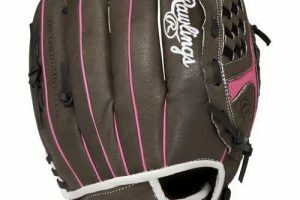 The Louisville Slugger 10.5-Inch FG Diva Softball Infielders Glove is specifically made to match the needs of a younger player stepping onto the field for the first time. The glove will give your child the confidence to easily stay on top of his or her game. The 10.5-Inch FG Diva Glove was specifically built for softball infielders, coming with an extra deep pocket to accommodate a large softball, despite its kid-sized 10.5 inch proportions. 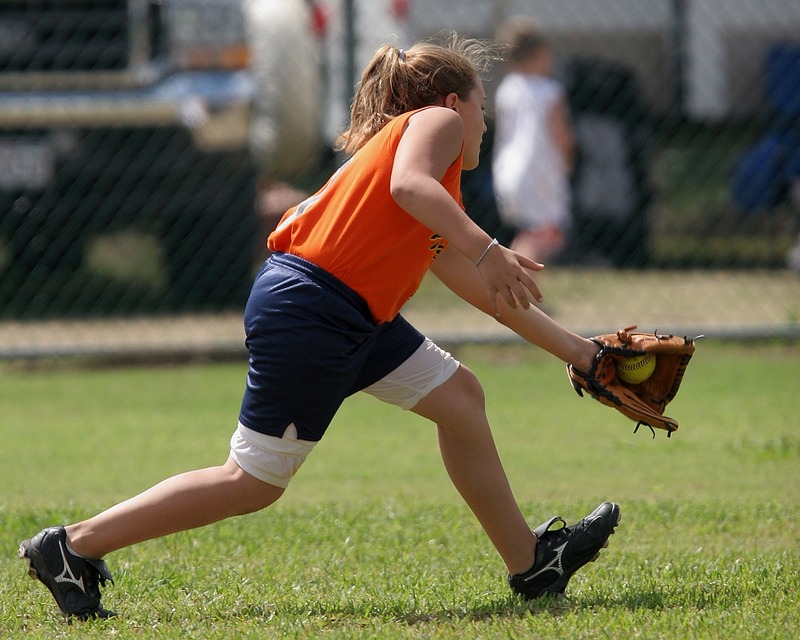 It gives youth players enough flexibility and performance to be able to develop catching skills, and — more importantly — to learn to appreciate the game and to cultivate a passion for softball as they play more with the glove. This glove is made with a softened pig leather palm that makes it comfortable and ready to use right off the shelf, with no break-in requirement and no compromise to its quality and durability. Since it is made from genuine pig leather, you are assured of its durability versus a synthetic material. Despite its durable material and make, the FG Diva is still able to maintain a light weight because of its special mesh padding. The mesh padding cushions the impact of the oncoming ball while still maintaining minimal glove weight for optimal comfort, control, performance, and enjoyment. Louisville Slugger stands behind the 10.5-Inch FG Diva’s quality, promising a full year’s manufacturer’s limited warranty on it. The company prides itself on its long history of quality sports equipment, so you can be sure that you are secured and protected when you purchase an FG Diva glove. One disappointed user claimed that after less than a year of use, the glove’s fingers bowed outwards at the tips, and that the fingers became floppy, which made it difficult to make and hold onto catches cleanly. Additionally, after a few months of regular use, catches began to sting, which might have been a sign that the glove was past its break-in point and was well into its deteriorating phase. 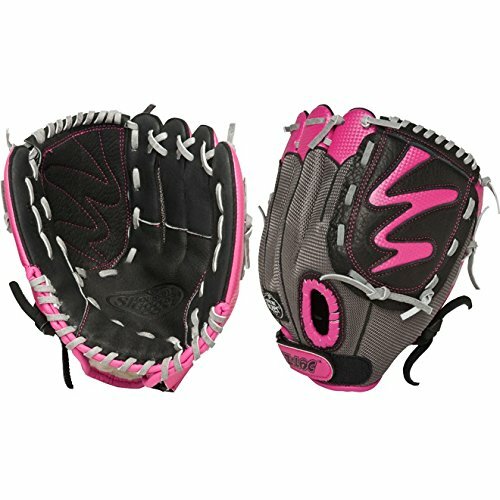 If you have a young infielder who is just starting out in softball or baseball, the Louisville Slugger 10.5-Inch FG Diva Softball Infielders Glove would make the perfect gift. It is just the right size for youth leagues and is made up of softened leather which does not require any breaking in; so your youngster will be able to use it right off the shelf without any discomfort at all. 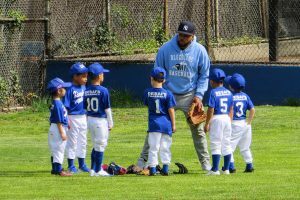 Genuine baseball equipment can be too expensive when you’re afraid that your child may change his or her mind after a month of trying out the sport. Or that he or she might quickly outgrow the glove’s size, for that matter! 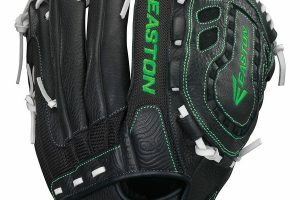 It is a good idea to initially buy a starter glove that will offer your child the experience of the game without you having to unnecessarily splurge; such as the Easton BX1300B 13-Inch Softball Glove. The Easton BX1300B comes with a lock-down Velcro strap that makes sure that it stays secured and fastened onto your hand the entire game. Leather laces wrap up the BX1300B in a stylish and functional weave. The leather laces also ensure that you get extra tough durability with your glove so that you can use it in many games for years to come. The glove is also ideal for both baseball and softball. It comes with a sizing that falls right in between, as well as a pocket-size that can fit either a baseball or a softball; this also means that it can be used by either infielders or outfielders for the same reason. Some parents who bought the Easton BX1300B for their children complained of poor fit. Also, accordingly, the glove is of fairly thin construction, which could cause pain to your child’s hand, even on just a somewhat-hard throw. 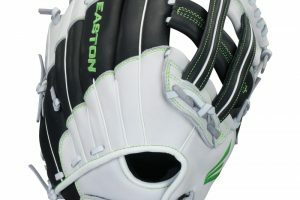 If you have a young and eager slugger who has just gotten into the game, the Easton BX1300B Softball Glove would make a good choice for beginner players who are going to take it a bit light at first. 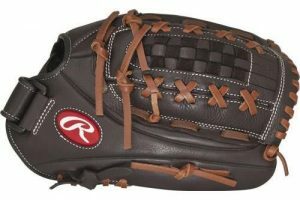 It is also a good glove for a casual game of catch with the kids on lazy weekend afternoons. A unique innovation that allows your youth player better precision, better protection, better stability, and an overall better game—nothing will make them love the game more than the Mizuno GPL1200F1 Prospect Fastpitch Series Youth Softball Mitt. The Mizuno GPL1200F1 is built with PowerClose technology which is designed to make it much easier to catch the ball, especially for young players who are still trying to get the hang of the game. Nothing compares to being able to consistently catch the ball for building a child’s confidence and encouraging further love of the game. Beyond the psychological benefits, the PowerClose technology also enables an improvement in playing statistics and overall gameplay. Additionally, it is made with PowerLock technology, which makes sure that it stays secure and fit on your hand all throughout the game—all the time and every time you step out onto the field. Despite the advanced nature of this technology, it’s still very simple to use, and even the youngest junior league player will have no trouble securing it onto their catching hand. The mitt’s V-Flex Notch is yet another design feature that enables a player to make the perfect catch every time. 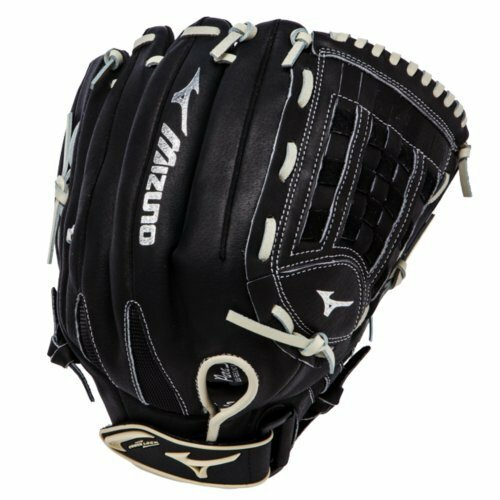 To pair with its ease of catching, the Mizuno GPL1200F1 also comes with ParaShock palm padding that minimizes the sting of catching by reducing the shock from the impact of an oncoming ball. 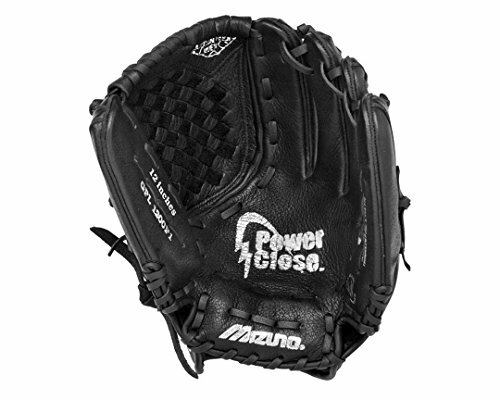 According to one parent, the Mizuno GPL1200F1 Prospect Fastpitch Series Youth Softball Mitt was too small for her 9-year-old daughter. Another user commented that the webbing gave in after just a few months, allowing the ball to push the webbing back, which caused more than the occasional dropped ball on makeable catches. Yet another parent noted that just after a month of use, its lacing dry rotted completely, then broke off, rendering the mitt completely useless. If you are looking for a starting glove for your young softball player, the Mizuno GPL1200F1 Prospect Fastpitch Series Youth Softball Mitt has the essential features to give them a good game. It comes with all the innovative technology your youth will need to ensure a good game and awesome performance. A softball glove is made up of many smaller pieces, and each piece has a name. This system helps manufacturers explain key attributes of their equipment, and it also helps players discuss what may have happened on a given play. The way that these pieces are cut and assembled makes a particular glove’s pattern, much like a garment is made on a pattern. When discussing its parts, it is best to divide the glove between its front and back. Let’s begin with the front of the glove — the business end. The parts on the front of the glove all act either to secure the ball or to hold the glove together. No piece is there for decoration. The pocket and the web act together to form a place for the glove to come to rest. Some gloves include devices such as slits or softer material to aid the player in closing the glove. This is most common in youth softball gloves, though. By the time players reach the higher levels of the sport, these crutches are deemed unnecessary. Webs come in many different types, from single-post open webs to closed, basket webs. Most position players tend to prefer one or the other, based partly on where they play, though there is no rule that governs this practice. Fastpitch softball pitchers prefer a closed back to hide their grip on the ball, for example, while outfielders often play with the maximum-sized glove allowed. The pocket also tends to vary in size from position to position on a softball field. First basemen tend to use bigger pockets to give them more room for error on off-line throws, while middle infielders prefer a smaller pocket to facilitate the fastest exchange possible to the throwing hand. Pockets in fastpitch gloves usually have a fair amount of padding behind to protect the player’s hand. On either side of the web are the thumb and fingers, in which those digits sit. The fingers in fastpitch gloves tend to be well-padded to protect those fingers. The material above the web is tightly wound in stitching to withstand abuse, and is called the bridge. The bottom of the web, where it meets the pocket, is called the crotch. The material at the bottom of the gloves front is called the heel. This part of the glove is typically heavily padded. All the pieces of the glove, front and back, are held together with long strands of leather woven through holes in the material, which is called the laces or the stitching. From the back of the softball glove, you can see most of the pieces of the front. So they are called the back of the pocket, and the back of the fingers, etc. The back of the hand opening can be either open or closed. On both types, but more commonly on open-back softball gloves, there is sometimes a Velcro closure to cinch the glove up tight. Inside the glove are the holes into which players place their fingers. These holes are called finger stalls. The finger stalls and the palm and back of the hand may also have a lining, which provides a soft feel and moisture wicking properties.